Gahakarakam gavesanto dukka jati punappunam"
under the Bodhi Tree in Uruvela by the banks of the River Neranjara. In His final birth, while engaged in solitary meditation, which He had highly developed, in the course of his wanderings, after relentless search the Buddha discovered, by His own insight, the delusive architect residing , not outside, but within the recesses of His own heart. It was the mental process of perception and conception (sankara) and the compulsive urge to exist (bhava tanha) that was the creator, the architect, the builder, which is a mental process latent in all. What is created by oneself can be destroyed by one self. The discovery of the architect is the introspective awareness of the mental processes, which stopped the process, attaining Arahat-ship. 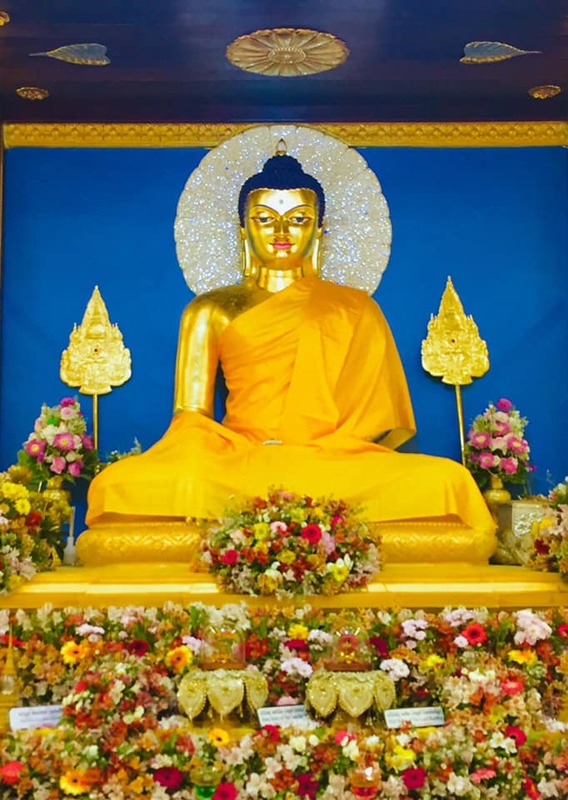 The Buddha expressed His experience of enlightenment in one of two ways, either in terms of having understood the Four Noble Truths, or in terms of having understood the nature of Dependent Origination. Again, the Buddha has often mentioned that in order to attain enlightenment one has to understand the Four Noble Truths; or similarly, one has to understand Dependent Origination. “If one sees the Patichcha Samuppadaya, he sees the Dhamma.” In this world there is a cause for everything that happens. When the cause is removed the effect ceases. A seed gives rise to a plant. In this manner we can explain the birth and the death of beings based on the Patichcha Samuppadaya Dhamma or the Dhamma of cause and effect. 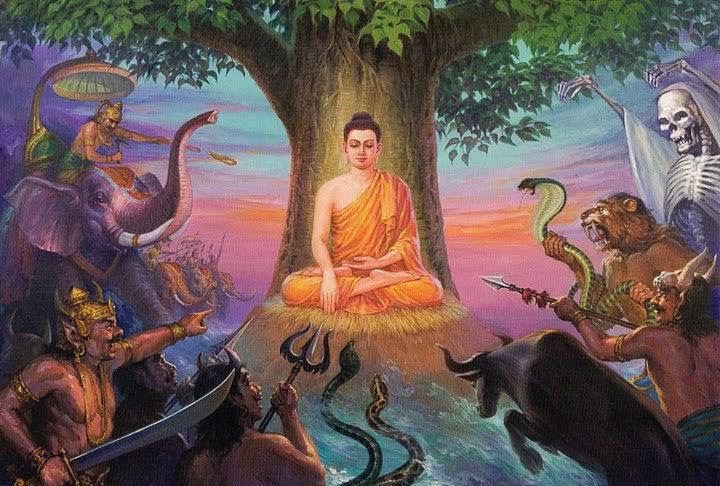 As shown by the Buddha both the cause of suffering in samsara and the eradication of such suffering are explained in Buddhism in accordance with Patichcha Samuppada principle. We can make use of this knowledge in the analysis of problems as well as in the solving of problems in an experiential manner. On the basis of the Buddha’s own statements, we can see a very close relationship between the Four Noble Truths and Dependent Origination. What is it that the Four Noble Truths and Dependent Origination have in common? The principle that both have in common is the principle of causality - the law of cause and effect, of action and consequence. This detailed series of twelve links represents the first and the second Noble Truths. It deals with sorrow. In this world all beings are deceived by illusory pleasures. All beings are subjected to birth, decay disease and death. An unfulfilled wish is suffering. Association with things or persons one does like or separation from things or persons one likes is also suffering. If a person’s desires are not gratified that also is suffering. In brief clinging to the composite body of the five aggregates is suffering. It deals with the cause of suffering which is craving. This craving is of three types. (1) Kamatanha – Craving for sensual pleasures. (3) Vibhavatanha - Craving for non-existence. Reject things in the present with displeasure and crave for new things. Reject the old with displeasure and seek enjoyment in the present. Craving is a latent mental force, which is the cause for most ills of life. It is this Craving coupled with Ignorance that leads to repeated births in Sansara and makes one cling to all forms of life. Beings suffer in samsara because there is a cause for it. When the cause is eradicated the suffering in samsara also ceases. It is with ignorance (Avijja) as condition that formations (Sankara) come to to be. Ignorance of the Four Noble Truths in particular. That is to say, not seeing the realities of suffering and its origin. Acts of the will in body, speech or mind. The making of karma. Knowing the sensory objects through the six types of consciousness, i.e. vision, hearing, smell, taste, touch and thought. The physical body and the three mental aggregates excluding consciousness, i.e. mental formations, perception and feeling. These together are sometimes called the mental body. The psycho-physical bases of the six senses. The sense organs and their associated mental factors. Sensory impingement. The coming together of three factors; the physical organ, its object and consciousness. Example - visual contact is the coming together of light waves and the sensitive cells of the retina together with conscious awareness. Pleasant, unpleasant or neutral emotional reaction to sense contact. Craving for sense pleasures, craving for existence, craving for nonexistence. NB the link between feeling and craving is the key point where the cycle can be broken and liberation can occur. The intensification of craving to the level of obsession. Defilement is very difficult to deal with if it has been allowed to develop to this stage. Four kinds of clinging are listed; clinging to sense pleasure, to views, to rites and rituals and to the doctrine of a self. Coming into existence or being. There are three levels of being; sensual, fine-material and immaterial. These correspond to sensory, jhanic and formless jhanic consciousness. Also to existence in the various realms. Sensual being includes the lower realms, human and sensual heavens. Fine-material includes the brahma realms and immaterial the realm of formless deities. NB nibbana is outside all of these realms and is not a type of becoming at all. The emergence into one or another order of beings. 12. Old Age (jara) and Death (maraṇa) and also sorrow and lamentation, pain grief and depair; that is how there is an origin to this whole aggregate mass of suffering. This is called the Noble truth of Suffering. The inevitable result of being born. Upanisa Sutta, clearly explains the supporting conditions to the causal sequence of the third and the forth truths of liberation, as stated according to the Four Noble Truths. 3. 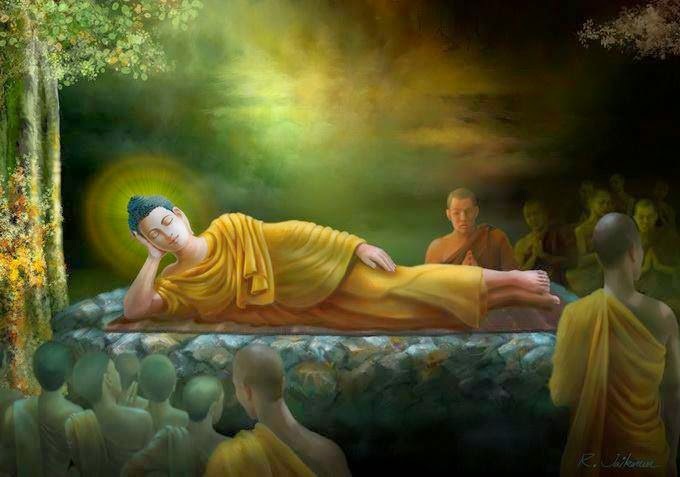 The Third Noble Truth – The complete cessation of suffering, which is Nibbana, the ultimate Goal of the Buddhists. This is achieved by total eradication of all forms of craving –lust, hate, and delusion (Raga, Dosa and Moha). 4. The Fourth Noble Truth – It is the path leading to the cessation of suffering and it is to be comprehended by the mental eye by renouncing all internal attachment to the external world. This truth has to be realised by the Noble Eight- Fold Path. It is the only root leading to Nibbana. 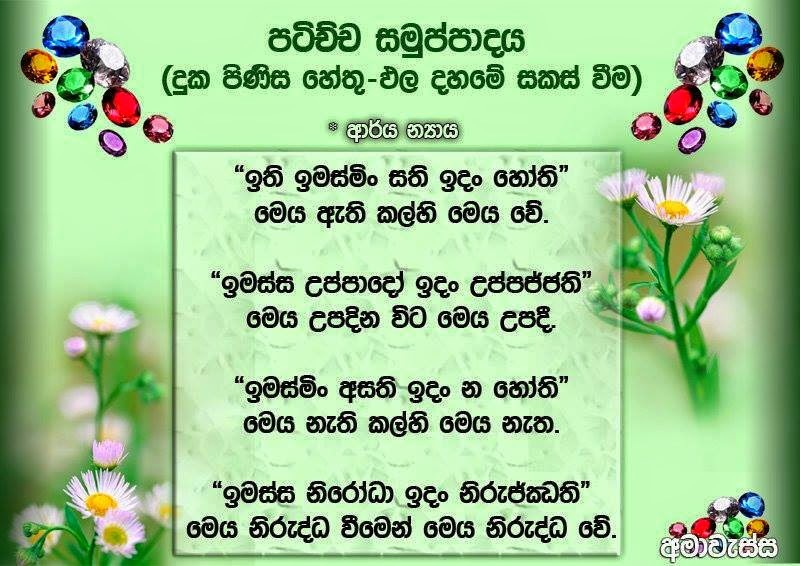 This is a series from the Upanisa Sutta [SN 2, 1, 3, 3] showing the third and fourth truths. In other words, this is the causal sequence of liberation. The Netthiprakaranaya calls this sequence “transcendental dependent arising” which is called, “Lokuttara Patticca Samuppadaya,” a dependent arising that leads to the transcendence of the world. Links 1 through 10 are the same as in the general series. “Suffering” “for aging and death” becomes the lead for the second application of dependent arising. Here the Buddha shows the creative pathway allowing the same principle of conditionality to structure the path leading to end suffering. Unlike the usual familiar link, the present version does not lead to the cycle of becoming but it explains the faith arising with the awareness of suffering and the need to recognise a teaching plan that proclaims a liberative path. The difference here is that one is conscious of the suffering inherent in existence so the inevitable progression of birth, aging & death is not mindless. This awareness of a problem allows the emergence of a solution. This is the first glimpse that there is light at the end of the tunnel. Faith is needed at this juncture because it is all you have to rely on. The first result of faith is an emotional lightening. This is the pure happiness that arises from devotional practise. The intensification of that joy together with a deepening unification of mind gives rise to rapture experiences. This is counted a factor of the first two jhanas. This is the deep meditative peace that is on the other side of joy and rapture. The subtle happiness of the calmed and purified mind. The fully unified state of mind. This mind is wieldy and malleable; i.e. fit to do the work of insight. This refers to the direct seeing that is done in Insight Meditation. Direct understanding of mind and body, rise and fall, and the three characteristics of suffering, impermanence and not-self. Having seen things in their real nature one becomes dis-enchanted like one awakening from a magic spell. Having seen reality clearly one is no longer fooled thereby. Having seen the reality of samsara clearly in the previous stages, one loses interest in all objects of desire. Without the motive force of desire for becoming the wheel is broken and samsara transcended. This is the realization of nibbana, the ultimate human experience. The enjoyment of the fruit. An end to all suffering and defilement. The following article is another excellent detailed analysis given by Ajahan Brahmawamso on the topic of Dependent Origination, which has been extracted from the following link; Pl. follow this link to read this interesting Dhamma article. One who sees Dependent Origination, sees the Dhamma. One who sees the Dhamma, sees Dependent Origination. 1. Unshakeable faith in The Buddha, as opposed to other religious leaders. 2. Unshakeable faith in the Dhamma, as opposed to other religious beliefs. 3. Unshakeable faith in the Sangha, the Enlightened members of the monastic community. 4. Very high standard of morality, `dear to the Enlightened Ones'. 5. Accurate understanding of Dependent Origination, and its corollary Idappaccayata (Causality). SN 12, 27; AN 5, 25. Therefore it is fair to say that the correct understanding of Dependent Origination can only be known by the Enlightened Ones, that is by the Streamwinners, Once Returners, Non Returners and Arahants. This goes a long way to answering the question why there is so much difference of opinion on the meaning of Dependent Origination. 1. To explain how there can be rebirth without a soul. 2. To answer the question "What is life?". 3. To understand why there is suffering, and where suffering comes to an end. So let us begin by seeing what The Buddha meant by Dependent Origination. Avijjapaccaya sankhara, sankharapaccaya vinnanam, vinnanampaccaya namarupam, namarupapaccaya salayatanam, salayatanapaccaya phasso, phassapaccayo vedana, vedanapaccayo tanha, tanhapaccayo upadanam, upadanapaccayo bhava, bhavapaccayo jati, jatipaccayo jaramaranam soka-parideva-dukkha-domanass-upayasa sambavanti. Evametassa kevalassa dukkha-khandhassa samudayo hoti. Avijjayatveva asesaviraganirodha sankharanirodho, sankharanirodho vinnananirodho, vinnanam nirodha namarupanirodho, namarupanirodha salayatananirodho, salayatananirodha phassanirodho, phassanirodha vedananirodho, vedananirodha tanhanirodho, tanhanirodha upadananirodho, upadananirodha bhavanirodho, bhavanirodha jatinirodho, jatinirodha jaramaranam soka-parideva-dukkha-domanass-upayasa nirujjanti. Evametassa kevalassa dukkha-khandassa nirodho hoti. From delusion as condition, volitional formations [come to be]; from volitional formations as condition, consciousness; from consciousness as condition, name-and-form; from name-and-form as condition, the six sense bases; from the six sense bases as condition, contact; from contact as condition, feeling; from feeling as condition craving; from craving as condition, clinging; from clinging as condition, existence; from existence as condition, birth; from birth as condition, aging-and-death, sorrow, lamentation, pain, displeasure, and despair come to be. Such is the origin of this whole mass of suffering. But from the remainderless fading away and cessation of delusion comes cessation of volitional formations; from the cessation of volitional formations, cessation of consciousness; from the cessation of consciousness, cessation of name-and-form; from the cessation of name-and form, cessation of the six sense bases; from the cessation of the six sense bases, cessation of contact; from cessation of contact, cessation of feeling; from the cessation of feeling, cessation of craving; from the cessation of craving, cessation of clinging; from the cessation of clinging, cessation of existence; from the cessation of existence, cessation of birth; from the cessation birth, aging-and-death, sorrow, lamentation, pain, displeasure, and despair cease. Such is the cessation of this whole mass of suffering. It is important for us to understand exactly what The Buddha meant by these twelve terms. Fortunately, when The Buddha taught the Dhamma He also explained in great detail what He meant by what He said. Admittedly, some terms would be used in slightly different contexts in different suttas. The Nidanasamyutta (SN 12), however, is a collection of suttas that are completely concerned with Paticca-samuppada. The second sutta in this collection is called the Vibhanga Sutta2. Vibhanga means the explanation of the terms used. As far as Dependent Origination is concerned, in this sutta The Buddha gives the clearest explanation of what each of these terms mean. Using Bhikkhu Bodhi's translation of the Vibhanga Sutta, the meaning of these twelve terms will now be explained. Also, with the aid of some other suttas, the meaning of two of the most controversial terms will be clarified. First of all, The Buddha said: "What, bhikkhus, is aging-and-death? The aging of the various beings in the various orders of beings, their growing old, brokenness of teeth, greyness of hair, wrinkling of skin, decline of vitality, degeneration of the faculties: this is called aging. The passing away of the various beings from the various orders of beings, their perishing, their break up, disappearance, mortality, death, completion of time, the break up of the aggregates, the laying down of the carcass: this is called death. Thus this aging and this death are together called aging-and-death." It is quite clear here that The Buddha was talking about death in the usual meaning of the term, not a death in a moment (which is a term that some people mistakenly use). It means the death that you call an undertaker to settle. And what, bhikkhus, is birth? The birth of the various beings into the various orders of beings, their being born, descent (into the womb), production (abhinibbatti= rebirth), the manifestation of the aggregates, the obtaining of the sense bases. This is called birth." The meaning of the term `various orders of beings', is fully brought out by a passage in another sutta specifically dealing with Dependent Origination, the Mahanidana Sutta (DN 15): "With birth as condition there is aging and death. How that is so, Ananda, should be understood in this way. If there were absolutely and utterly no birth of any kind anywhere - that is, of gods into the state of gods, of celestials into the state of celestials, of spirits, demons, human beings, quadrupeds, winged creatures, reptiles, each into their own state - if there were no birth of beings, of any sort into any state, then, in the complete absence of birth, with the cessation of birth, would aging and death be discerned?" "Certainly not, venerable sir. "3 Again, it is quite clear here that birth means what we would normally consider it to be: the arising in the human realm of a being in the womb. And what, bhikkhus, is existence (bhava)? There are these three kinds of existence: sense-sphere existence, form-sphere existence, formless-sphere existence. This is called existence." Because this term, bhava, is often misunderstood I will explain its meaning in further detail. The above classification of existence into three realms is sometimes called the tiloka, the three worlds. The kamaloka are the worlds dominated by the five senses. They are the human realm, the animal realm, the realm of ghosts, the hell realms and the deva realms up to, but not including the brahmaloka. The rupaloka are the silent worlds wherein one exists in the jhana attainments. They begin with the brahmaloka and include several other realms based on higher jhanas. The arupaloka are the worlds of pure mind, wherein one exists in one of the four immaterial attainments. The rupaloka and arupaloka are the jhana experience attained at the moment of death that continues for vast periods of time, transcending cataclysms of universes and counted in, sometimes, thousands of aeons. To understand the full meaning of bhava one has to go to the Anguttara Nikaya (3, 76), where Venerable Ananda asks The Buddha, "What is bhava?" The Buddha responds by questioning Ananda: "If there was no kamma ripening in the kamaloka, would there be existence in the realm dominated by the five senses?" He then asks the same about the other two realms: "If there was no kamma ripening in the rupaloka, would there be existence in the rupaloka? If there was no kamma ripening in the arupaloka, would there be existence in the arupaloka?" Accordingly, Ananda replies "certainly not" to each question. The Buddha then further explains: "So, Ananda, you can regard kamma (the actions of body, speech and mind) as the field, you can regard consciousness as the seed, and you can regard craving as the moisture. Thus, for beings who are blinded by ignorance and fettered by craving, there is the establishment of the consciousness in this lower realm, in the hinadhatu (ie. the realms dominated by the five senses), (and so forth for the two higher realms of existence). Thus there is in the future more existence (punabbhava), rebirth (abhinibbatti)". Here The Buddha was giving the simile of plants growing, with kamma as the field, and consciousness as the seed, which is fed by the moisture of craving to explain how bhava is a cause for rebirth (jati). And what, bhikkhus, is clinging (sometimes translated as `fuel')? There are these four kinds of clinging: clinging to sensual pleasures, clinging to (wrong) views, clinging to rules and vows, clinging to a doctrine of self. This is called clinging. And what, bhikkhus, is craving? There are these six classes of craving: craving for forms (sights), craving for sounds, craving for odours, craving for tastes, craving for tactile objects, craving for mental phenomena. This is called craving. And what, bhikkhus, is feeling (vedana4)? There are these six classes of feeling: feeling born of eye-contact, feeling born of ear-contact, feeling born of nose-contact, feeling born of tongue-contact, feeling born of body-contact, feeling born of mind-contact. This is called feeling. And what, bhikkhus, is contact? There are these six classes of contact: eye-contact, ear-contact, nose-contact, tongue-contact, body-contact, mind-contact. This is called contact. And what, bhikkhus, are the six sense bases? The eye base, the ear base, the nose base, the tongue base, the body base, the mind base. These are called the six sense bases. And what, bhikkhus, is name-and-form (nama-rupa)? Feeling, perception, volition (cetana), contact (phassa), and attention (manasikara): this is called name. The four great elements and the form derived from the four great elements: this is called form. Thus this name and this form are together called name-and-form. And what, bhikkhus, is consciousness? There are these six classes of consciousness: eye-consciousness, ear-consciousness, nose-consciousness, tongue-consciousness, body-consciousness, and mind-consciousness. This is called consciousness. And what, bhikkhus, are the volitional formations (sankhara)? There are these three kinds of volitional formations: the bodily volitional formation, the verbal volitional formation, the mental volitional formation. These are called the volitional formations." The meaning of sankhara is sometimes debated because this is a word that does have many meanings in different places. If one wishes to see the word sankhara used as a cause for rebirth, one can go to the Sankharupapatti Sutta (MN 120). Sankharupapatti means `rebirth according to sankhara'. Here, The Buddha talks about how certain beings arise in different realms according to their planned actions of body, speech or mind. These are actions of body, speech and mind, which are accompanied by will (cetana); and it is this kamma which gives rise to future rebirth. This is called sankhara. In another sutta (SN 12, 51) The Buddha talks about how, if a person who has ignorance (avijjagato, who has gone to ignorance) plans a meritorious sankhara (punnam sankharam abhisankaroti), his consciousness goes to a meritorious place. If he plans a demeritorious sankhara (apunnam sankharam abhisankaroti), his consciousness goes to an apunna place, a demeritorious place. If he plans an anenja sankhara (anenja being something in-between), then his consciousness goes to that place accordingly. Again, this shows that there are three types of sankhara - meritorious, demeritorious and in-between - and that sankhara is the working of kamma. In much the same way that kamma can be made by body, speech and mind, so too there are three types of sankhara - body, speech and mind sankhara. And what, bhikkhus, is ignorance (avijja)? Not knowing suffering, not knowing the origin of suffering, not knowing the cessation of suffering, not knowing the way leading to the cessation of suffering. This is called ignorance." When this is, that is. From the arising of this, that arises. When this is not, that is not. From the ceasing of this, that ceases. Imasmim sati, idam hoti. Imass uppadadam uppajjati. Imasmim asati, idam na hoti. Imassa nirodha, idam nirujjhati." The first feature of such causality that must be emphasized is that there can be a substantial time interval between a cause and its effect. It is a mistake to assume that the effect follows one moment after its cause, or that it appears simultaneously with its cause. In Buddhist causality, the cause and its effect can be separated by any length of time. The above two Pali phrases Imasmim sati, idam hoti, and Imasmim asati, idam na hoti are grammatical constructions called in Pali 'locative absolutes'. In Professor A.K. Warder's Introduction to Pali (page 103), the author states categorically that, in such a grammatical construction, the subordinate action (the cause) can precede or be simultaneous with the main action (the effect). As far as the Pali is concerned, the grammar allows the cause to precede the effect by any length of time interval. When birth is, death is. From the arising of birth, death arises." It has been shown already that in the Nidana Samyutta 'birth' and 'death' are to be understood in their common meanings. It is clear that birth and death do not happen simultaneously. Nor does birth precede death by just one moment. Birth can sometimes precede death by many years - 80, 90, 100, even 120 years. I have emphasized this point because of the misunderstandings about Dependent Origination presented by some modern authors on the subject. The fact remains that there can be a substantial time interval between a cause and its effect. Some modern writers have suggested that the effect must arise simultaneously with its cause, or arise just one moment after, for this to qualify as a Dhamma which can be 'seen here and now' and be 'immediate'. 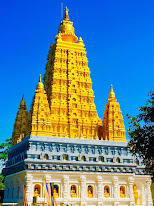 They argue that since the Dhamma is sanditthika and akalika, and Dependent Origination is one of the central features of the Dhamma, therefore Dependent Origination must be sanditthika and akalika. But does 'sanditthika' mean 'seen here and now'? Does 'akalika' mean 'immediate'? As I will now show, these translations can be misleading. The passage in the suttas which gives the clearest indication of the meaning of 'sanditthika' is in the Mahadukkhakkhandha Sutta (MN 13). In this sutta, the dangers of sensual pleasures are described by seven examples of consequences to be experienced in this life, and all seven are described as 'sanditthika'. This is in contrast to the consequence of sensual pleasures described in the sutta's next paragraph that are to be experienced after death and are called samparayika. Clearly, sanditthika and samparayika are antonyms (words with opposite meanings). In this context, sanditthika must mean 'visible in this life'. Although some Pali words carry slightly different meanings in different contexts, this is rare and it seems reasonable to assume that sanditthika mans 'visible in this life' in all other contexts as well. I don't run after what is kalika, having abandoned what is sanditthika. I run after what is sanditthika, having abandoned what is kalika. Naham sanditthikam hitva, kalikam anudhavami. In these three contexts, sanditthika and kalika are clearly direct opposites, antonyms again. Thus it is reasonable to assume that the opposite of kalika, akalika, must be synonymous with sanditthika. That is, sanditthika and akalika have essentially the same meaning. They both refer to that which is 'visible in this life'. For example, The Buddha encouraged such practices as maranasati, the meditation on death, and many monks, nuns and lay Buddhists practise this method of meditation with liberating results. Maranasati is certainly a part of the Dhamma that is sanditthika and akalika. So, if these two Pali words really did mean 'here and now' and 'immediate', maranasati would be next to impossible - one would need to be dead to be able to contemplate death in the 'here and now', 'immediately'! Obviously, sanditthika and akalika do not have such a meaning. They both refer to something visible in this life, as opposed to what may only be known after one has died. It is because each one of the 12 factors of Dependent Origination can be seen in this life, and their causal relationship can also be seen in this life, that Dependent Origination spanning more than one life qualifies as a Dhamma that is sanditthika and akalika. You may not be able to directly see your own death, but you can see death occurring every day in the hospitals, on the television or in the newspapers. You don't have to wait until some afterlife to understand the truth of death. You have also seen birth, maybe not your own, but that of many others. You can verify the truth of birth in this very life. Then by seeing human beings in their various stages from birth to death, you can verify in this life that birth is the cause of death. This is why the part of Dependent Origination 'with birth as a condition, aging and death' is a Dhamma that is sanditthika and akalika, to be seen in this life. You cannot see all the 12 factors in this moment, because they do not occur all in one moment. But you can see a manifestation of each factor in this very life. That, also is why Dependent Origination is sanditthika and akalika. You can also see in this life the causality that links each pair of neighbouring factors. Through the development of penetrating insight empowered by tranquil meditation, you can see in this life how feeling (vedana) gives rise to craving (tanha). You can similarly witness how craving gives rise to clinging/fuel (upadana). And you can likewise understand in this life how craving and clinging/fuel produces existence (bhava) and birth (jati) in the next life. The way that one sees such causality stretching beyond death may be explained by paraphrasing The Buddha's simile in the Mahasihanada Sutta (MN 12). One can know from data seen in this life that a person's conduct will lead them to an unpleasant rebirth in just the same way that one can know that a person walking along a path with no fork must fall into a pit of coals further along that path. 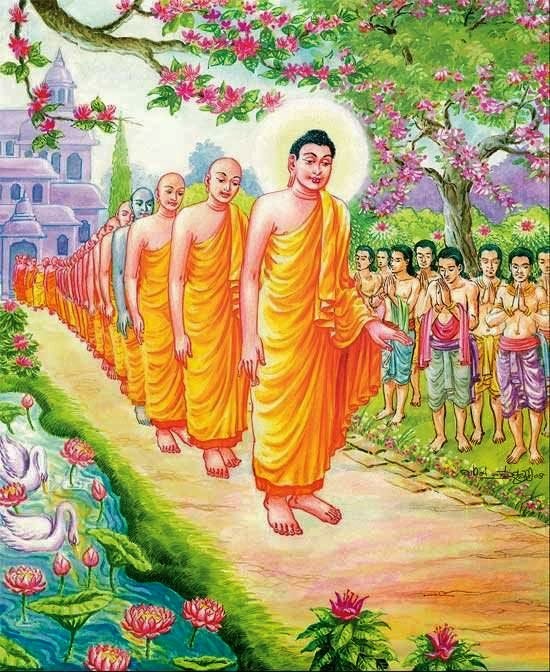 Thus, even the causality that links connected factors on either side of death also qualifies as a Dhamma which is sanditthika and akalika, to be seen in this life. I have discussed this issue at length here only because the misunderstandings over the meaning of sanditthika and akalika have resulted in a misconceived rejection of The Buddha's clear intention to let His Dependent Origination span more than one life. I have already introduced The Buddha's formula for causality, Idappaccayata, earlier on in this essay. Here I will show how Idappaccayata relates to what in Western logic we call a 'necessary condition' and a 'sufficient condition'. This modern analysis of causes throws much light on Idappaccayata and Dependent Origination. In order to demonstrate the difference between these two types of causes I will use the example just given. Fuel is a necessary condition for fire, because with the ceasing of fuel, the fire ceases. But fuel is not a sufficient condition for fire, because fuel doesn't always produce fire - some fuel remains unlit. Fire is a sufficient condition for heat, because fire must cause heat. But fire is not a necessary condition for heat, because without fire there can still be heat - heat can be generated from other sources. So a necessary condition is a cause without which there would be no effect, and it is expressed by the second half of Idappaccayata. A sufficient condition is a cause that must produce the effect, and it is expressed by the first half of Idappaccayata. Together they make up Buddhist causality. In brief, to be reborn is dukkha, not to be reborn is sukha (happiness). It is of interest now to look at the links that are not sufficient conditions. sankhara is not a sufficient condition for rebirth linking consciousness and the stream of consciousness that follows. This is because, having produced many rebirth-inclining kamma formations early on in one's life, it is possible to make them all null and void (called `ahosi kamma') with the attainment of arahant, which attainment eliminates the stream of consciousness that would otherwise begin at rebirth. The fact that upadana is not a sufficient condition for bhava is similar to sankhara not being a sufficient condition for vinnana. Through the development of the Noble Eightfold Path as far as Full Enlightenment, no new upadana are generated and all previous upadana becomes ineffective in producing a ground for a new existence or bhava. The upadana previous to Full Enlightenment becomes, as it were, `ahosi upadana'. Even more obvious, vedana is not a sufficient condition for tanha. vedana are certainly experienced by arahants, but they never generate tanha. Moreover, for ordinary people, not every vedana produces craving. Some Western Buddhists have proposed that the 'forward' order of Paticca-samuppada can be halted by 'cutting' the process between vedana and tanha. Often I have heard some suggest that rebirth can be avoided through using sati (mindfulness) on vedana to stop it generating tanha and the following factors of Paticca-samuppada. This is, in my understanding, misconceived on two grounds. First, the 'forward' order of Paticca-samuppada was never intended to demonstrate how the process should be 'cut'. The 'forward' order is only meant to show how the process continues. The teaching on how the process is 'cut', or rather ceases, is the purpose reserved for the 'reverse' order of Paticca-samuppada or `Dependent Cessation'. Secondly, even though vedana does not inevitably produce tanha, because it is not a sufficient condition, it is well stated by The Buddha that only when avijja ceases once and for all does vedana never generate tanha ! This means that one doesn't `cut' the process using sati on vedana. Sati is not enough. The process stops from the cessation of avijja, as Dependent Cessation makes abundantly clear. The cessation of avijja is much more than the practice of sati. There is a sutta in the Anguttara collection that is often presented as evidence that Dependent Origination does not span more than one life. This sutta is called 'Tenets' in the Pali Text Society's translation (AN 3, 61). Some interpret this sutta as stating that vedana is not caused by kamma formations (sankhara) done in a past life. Therefore the link called sankhara in Dependent Origination (which does cause vedana) cannot mean kamma formations of a previous life. I will show below that this conclusion is wrong, as it comes from a misreading of the suttas. The relevant part of this sutta presents three theories to explain why one feels pleasant, unpleasant or neutral vedana. The first theory states that everything one feels is due to what one did in the past (sabbam tam pubbe katahetu). The other two theories state that everything one feels is either caused by God or by chance. The Buddha categorically states in this sutta that all three theories are wrong. The first theory, the one pertinent to this discussion, that everything that one feels now is due to what one did in the past, is repeated in the Devadaha Sutta (MN 101) where it is said to be a belief of the Jains. The Jains held that all the suffering one experienced in this life was due to bad kamma from a previous life. Indeed, this sutta clarifies this first theory as meaning everything that one feels now is due to what one did in a past life. The Devadaha Sutta disproves this theory. So it is true that The Buddha denied that everything that one feels, happiness or suffering or neutral feeling, is due to what one did in a past life (i.e. due to kamma formations of a past life). This should be obvious. Some of what one feels is caused by kamma formations from a past life, some caused by past kamma formations earlier in this life, and some caused by kamma formations being performed now. What The Buddha was denying was that all happiness or suffering or neutral feelings are caused by kamma from a previous life. It should be pointed out that The Buddha is here referring to the type of feeling, rather than to feeling itself. It is true that whichever one of the three types of feeling that one experiences, happiness or suffering or neutral, is not always due to kamma from a past life. But it is also true that the situation whereby one can experience feeling at all, the fact that vedana exists, is due to kamma from a past life. A simile might make this clearer. The situation that you possess a TV on a public holiday is due to you having purchased it on some previous day. Its presence, as it were, is due to kamma from a past day. But whichever one of the three available channels that appears on the screen, Channel Happiness or Channel Suffering or Channel Neutral, is not always due to what you did on some previous day. The content is not all due to kamma from the past. In the same way, The Buddha states that the existence of vedana in this life is due to kamma formations done in the previous life. But the particular type of feeling, happiness or suffering or neutral is not always due to kamma from a previous life. Once the distinction is made between vedana and the contents of vedana (happiness or suffering or neutral), it is clear that the 'Tenets' sutta doesn't state that vedana is not caused by kamma formations from a previous life. It does not disprove the orthodox understanding of Dependent Origination as spanning three lives. Indeed, the latter part of the 'Tenets' sutta introduces Dependent Origination from a unique starting point. "Depending on the six elements (earth, air, fire, water, space and consciousness) there is the descent of the being to be born into the womb; when there is descent, there is name-and-form; with name-and-form as condition, the six sense bases; with the six sense bases as condition, contact; with contact as condition, feeling." Channam dhutanam upadaya gabbhass' vakkanti hoti; okkantiy sati, namarupam; namarupa-paccaya salayatanam; salayatana-paccaya phasso; phassa-paccaya vedana." It was said 'with consciousness as condition there is name-and-form'. How this is so, Ananda, should be understood in this way. If consciousness were not to descend into the mother's womb, would name-and-form take shape in the womb?" "No, venerable sir. namarupa-paccaya vinnann'ti, iti kho pa'etam vuttam. Tad, Ananda, imina p'etam pariyayena veditabbam, yatha namarupa-paccaya vinnanam. vinnanam va hi Ananda matu kucchismim no okkamissattha, api nu kho namarupam matu kucchismim samucchissatha' ti? No h'etam bhante. This clearly equates the descent of the being to be born into the womb of 'Tenets' with the descent of (rebirth linking) consciousness into the womb of the Mahanidana Sutta. Thus vedana is said in `Tenets' to be caused by the first consciousness arising in this life, whose own cause can only be found in a previous life. Thus the sutta in the Anguttara collection which is often presented as evidence that Dependent Origination does not span more than one life, when read accurately and completely, actually clearly proves the opposite. The situation that vedana exists at all is due to avijja and kamma formations from the previous life, and Dependent Origination, as taught by The Buddha, does indeed span more than a single life. So far, I have described what Dependent Origination means. I have shown, by quoting from the original texts, that the factor vinnana refers to the stream of consciousness beginning in a life after the avijja and kamma formations that caused the rebirth. I have shown how causality, the link between one factor and the next can involve a substantial interval of time, even extending beyond this life into a future life. In summary, I have shown that Paticca-samuppada, as taught by The Buddha in the suttas, can only mean a process that spans three lives. To believe that Paticca-samuppada must be restricted to a single life, or even to a few moments, is simply untenable in light of reason and facts. 2. To answer the question "What is life?" One of the most common questions that I am asked is how can there be rebirth when there is no soul to be reborn. The answer to that question is Dependent Origination. Paticca-samuppada shows the empty process, empty of a soul that is, which flows within a life and overflows into another life. It also shows the forces at work in the process, which drive it this way and that, even exercising sway in a subsequent life. Dependent Origination also reveals the answer to how kamma done in a previous life can affect a person in this life. 1. delusion (avijja) + kamma the stream of consciousness beginning at rebirth (vina). 2. craving (tanh) + fuel (updna) existence (bhava) + rebirth into that existence (jti). Deluded kamma and craving produce the fuel which generates existence and rebirth (into that existence), thereby giving rise to the start of the stream of consciousness that is at the heart of the new life. It is kamma and craving, both under the sway of delusion, that is the force propelling the stream of consciousness into a new life. I will now offer some similes to illustrate this operation. These similes are only approximations and, therefore, will never perfectly match Paticca-samuppda. This is because Dependent Origination is mainly a process describing the flow of the mental consciousness, whilst the similes at my disposal are from the more well known material world. Still, they should help to clarify one's understanding. Someone goes to an airport to fly to another country. If they have enough money for the fare and they have a desire to go to a new country, then they may arrive in that land. If they have the fare but not the desire, or the desire but not the fare, or they lack both, then they will not arrive in the new country. In this simile: the person stands for the stream of consciousness; the airport stands for death; the new country stands for the next life; the fare stands for the person's accumulated kamma; and their desire to go there stands for craving. With much good kamma and a craving for happiness, or just the craving to be, the stream of consciousness that one thinks of as `me' is propelled into one's chosen next life. With much bad kamma and a craving for happiness, one cannot reach the happiness one wants, and thus one is propelled into an unsatisfactory next life. With much bad kamma and a craving for punishment, what we recognize in this life as the guilt complex, one falls into a next life of suffering. Then with much good kamma and no craving at all, one goes nowhere. Like the traveller at the airport, they have enough money to go wherever they want first-class, but the delusion has been shattered and the desire that generated all this coming-and-going is no more. They cease at the airport. It is interesting to describe how a recent, real instance of kamma and craving worked together to change bhava, the kind of one's existence. In the late 1970's in Britain, many uneconomical coalmines were permanently closed. One particular disused mine was close to a heavily populated area in South Wales. When some of the poor of that area had unwanted kittens, they would cheaply dispose of them by cruelly throwing them down into the abandoned mineshaft. Several years later, some engineers entered that mine to check on its safety. They found a remarkable discovery. Some of the kittens had survived the fall and, in the space of only a few generations, had evolved into a completely new species of cat, blind in their eyes but with enormous ears. Craving and behavioural conditioning (kamma) had been the obvious driving forces that produced the mutation. The above examples only begin to give an indication of the process that is Paticca-samuppda. Dependent Origination, after all, is mainly a process that describes the flow of mental consciousness, and this is fundamentally different from material processes. If one can imagine a beach of white sand, then the stretch looks continuous. On closer examination, though, one finds that the beach is made up of an uncountable number of small grains, each close to the next. If one looks even closer, one discovers that the grains aren't even touching, that each grain is alone. Similarly, when one's mindfulness has been empowered by jhana meditation, one may see the stream of consciousness in much the same way. Before, it looked like a continuous stretch of unbroken cognition. But now it is revealed as granular, tiny moments of consciousness, uncountable in number, close together but not touching, and each one alone. Having seen the true nature of consciousness, only then can one see how one moment of consciousness influences what follows. Kamma, like a discrete particle of behavioural conditioning, together with craving combine to make the impersonal forces that steer the journey of consciousness, like an aircraft on an automatic super-pilot. Furthermore, when the insight comes, based uniquely on the data of jhana, that the mental consciousness is independent of the body and must clearly survive the death of the body, then one sees with absolute certainty that the forces of kamma and craving that drive mental consciousness now, will continue to drive the mind through and beyond death. Rebirth and its process are seen. Paticca-samuppda is understood. This Dependent Origination, Ananda, is deep and it appears deep. In my opinion, one needs the experience of jhana to see it clearly. Nevertheless, I hope that the explanation and similes that I have given will help throw some light onto the true nature and purpose of this impersonal process that drives the mind from life to life. At least you can know that when Paticca-samuppda is fully understood, it is also clearly seen how rebirth happens without any soul. One of the major difficulties that Buddhists find with the teaching of Anatta is that if there is no soul or self, then what is this? What is it that thinks, wills, feels or knows? What is it that is reading this? In summary, what is life? 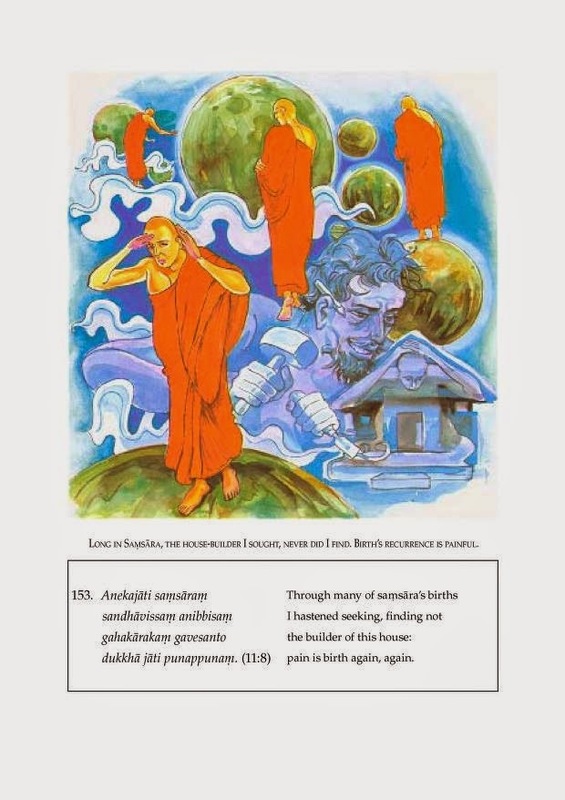 In one of the most profound of all suttas in the Buddhist scriptures, the Kaccnagotta Sutta (SN 12, 15), which was to play a major role in later Buddhist history, The Buddha stated that, for the most part, people's views on the nature of life fall into one of two extremes. Either they maintain that there is a soul, or they hold that there is nothing at all. Unfortunately, too many Buddhists confuse the teaching of Anatta and side with the view that there is nothing at all. The Buddha condemned both extremes with a devastating argument based on experience. It is untenable to maintain that there is a soul because anything that can be meaningfully considered as a soul or self the body, will, love, consciousness or mind - can all be seen as impermanent. As The Buddha put it "One cannot say that there is (a soul), because a cessation (of all that can be a soul) is seen". On the other hand, it is untenable to maintain that there is nothing at all, because it is obvious that life is! As The Buddha put it "One cannot say that there is nothing, because an arising (of all phenomena) is seen". Thus, as the Buddhist philosopher-monk Nagarjuna (2nd century CE) was to remind everyone, The Buddha clearly denied the doctrine of absolute emptiness. Even today, most people fall into one of these two extremes. Either that there is nothing at all and the mind, love, life is complete illusion, or that there is an eternal soul with God as the corollary. Both are wrong. The Kaccanagotta Sutta continues with The Buddha pointing out that there is a middle that has been excluded in this dichotomy of views. There is a third option that avoids both extremes. So what is this 'middle' between the extremes of a soul and nothingness? That middle, said The Buddha, is Paticca-samuppda. When The Buddha stated that it is untenable to hold that there is a soul or self (or a God) because a cessation is seen, He explained what He meant as: "From the cessation of delusion, kamma formations cease; from the cessation of kamma formations consciousness ceases ... from the cessation of birth, dukkha5 ceases". He was referring to the passing away process called Dependent Cessation. This impersonal process is the very thing that we identify as life. Moreover, it includes all the 'usual suspects' that masquerade as a soul: the body (part of nmarpa), will (part of the kamma formations, sometimes tanha), love (part of the kamma formations and mostly part of updana, clinging), consciousness (vina) and mind (part of salyatana and often equivalent to vina). These usual suspects are clearly seen in the light of Dependent Cessation as transient, insubstantial, granular and fading away soon after they arise. They are all conditioned. They exist only as long as they are supported by their external causes, which are themselves unstable. When the external supporting causes disappear, so do each of the usual suspects. Because these things do not persist, since they do not continue in being, it is untenable to hold that there is a soul, a self or a God. When The Buddha stated that it is also untenable to maintain that all is pure emptiness, void, nothing, because an arising is seen, He explained what He meant as: "From the arising of delusion, kamma formations arise, from kamma formations arises the stream of consciousness in the next life ... from birth arises dukkha!" He was referring to the arising process called Dependent Origination. Again, this impersonal process includes all that we can know as 'life'. Because this arising is seen, one cannot say they are not. It is not an illusion. These phenomena are real. A simile might help here. In mathematics a point is a concept drawn from the science of life. It describes aspects of real phenomena. Yet a point has no size. It is smaller than any measure that you can suggest, yet it is bigger than nothing. In a sense, one cannot say a point is, because it does not persist, it does not continue in space. Yet one cannot say it is not, as it is clearly different from nothing. The point is similar to the momentary nature of conscious experience. Nothing continues in being therefore it cannot be something. Something arises therefore it cannot be nothing. The solution to this paradox, the excluded middle, is the impersonal process. What was once assumed to be 'me', a self or a soul, or assumed to be an illusion or complete emptiness, is now clearly seen as the impersonal process of Dependent Origination, a causal sequence rolling on from life to life, containing all and anything that can meaningfully be a soul, the 'usual suspects' as I call them, but nothing continuing in being. So, if you wanted to find out who you are, now you have the answer - Dependent Origination! And if you wanted to find out what is life, now you also have the answer - Dependent Origination! The main purpose of Paticca-samuppada is to establish the reason why we suffer, and to find a way of eliminating suffering once and for all. To understand this point, we must now take a look at The Buddha's discovery of Dependent Origination in the context of the story of The Buddha's life. The Bodhisatta (an unenlightened being soon to become Enlightened) sat under the Bodhi Tree on the night of His Enlightenment for the sole purpose of finding a solution to suffering. As a young man, He had been deeply moved by the tragic sights of an old man, a sick man, and a dead man. Realizing that the suffering of old age, sickness and death was the certain destiny of himself as well, He left home in order to find a way out of all suffering. Under the Bodhi Tree, the Bodhisatta entered the jhanas for the first time since He was a small boy. Having thus empowered his mind, He then pursued a method of enquiry called 'yonisamanasikra', which literally means 'work of the mind which goes back to the source'. The problem was suffering, in particular the seemingly inescapable suffering associated with old age, sickness and death. Tracing the problem back to the source, the source was seen as birth. Jatipaccay Dukkha - 'Suffering is caused by birth'. As shown above, birth is a sufficient cause for suffering, that is, birth must give rise to dukkha. Every being that is born will get old, get sick and die, and experience the inescapable dukkha associated with that process. Thus birth is the problem. A simile might help. A person born in a harsh prison, raised in that prison, who has spent all their time in the prison, can only know prison life. They don't even suspect that anything beyond their prison can exist. So they make the best of prison. Those who think positively, because they have gone to prison seminars, begin to think that the harsh prison is instead a wonderful place. They even compose songs like "All jails bright and beautiful ... the good Lord made them all"! Others get involved with social service, compassionately decorating the prison cells of others. When someone gets tortured or otherwise punished in jail, they think something has gone wrong and look for someone to blame. If someone suggests that it is the very nature of jail to be suffering, then they are dismissed as a pessimist and told to "Get a life!". One full moon night, a prisoner discovers a door leading out of the jail and goes through. Only then does he realize that jail was inherently suffering and you can't make it otherwise. He goes back to tell his fellow prisoners. Most don't believe him. They can't even imagine anything other than their jail. When he says that the jail is suffering and the cessation of imprisonment is happiness, he is accused by one and all of escapism. Sometimes people rebuke me saying "You monks are just trying to escape from the real world!". I reply "Well done! At last someone else has understood Buddhism!" 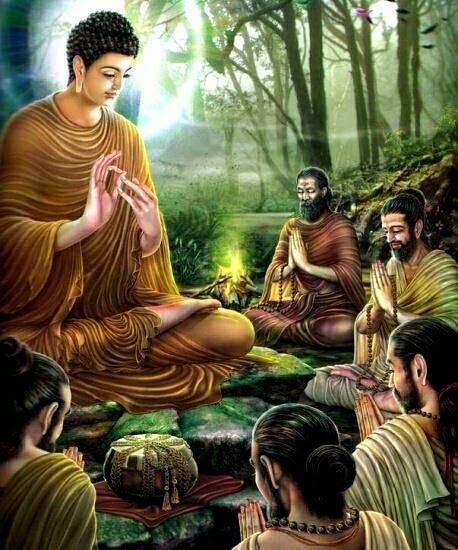 The Enlightenment experience of The Buddha began with the experience of jhanas. These 'stages of letting go' are also stages of increasing bliss. After jhana, one can reflect on the reason why these jhanas are by far the most pure and powerful happiness of one's life. What is the cause of such happiness? Ajahn Chah used to say that it is like having had a tight rope around one's neck for as long as one can remember. Then one day the rope is suddenly released. The bliss and ease that is felt is because a huge burden of suffering has gone. The ecstasy of jhana is because one has escaped, albeit temporarily, from what people mean by 'the real world'. When The Buddha reflected on jhana, He realized that the real world is suffering, it is a jail, and release from it is bliss. He could only know this once He had stepped out beyond jail. That is one of the purposes of jhana. Jhana is also called vimokkha, which means 'release'. Even Arahants, Enlightened monks and nuns, experience suffering. They are not released from suffering, they are still in the world, in jail. The main difference between an ordinary 'prisoner' and an Arahant is that the latter is certain to leave soon. Using the simile from the Theragatha (Th 1003, 606), an Arahant is like a workman having completed the job and now calmly waiting for his wages. In the sutta called 'The Dart' (SN 36, 6) suffering is compared to being stabbed with two darts. An Arahant is only stabbed with one dart. The two 'darts' refer to bodily suffering and mental suffering. The Arahant, alone of this world, only experiences bodily suffering. But it is still enough to say that an Arahant in this life still experiences suffering. As the Enlightened nun Vajir explained (SN 5, 10), what it feels like to be an Arahant is just experiencing suffering arising and suffering passing away, and this was confirmed by The Buddha in the Kaccnagotta Sutta (SN 12, 15), already mentioned above. Arahants experience suffering because all existence (bhava) or birth (jati) is suffering. Only when they pass away, or `parinibbna', when existence ceases, does suffering end once and for all. Having discovered that existence (bhava) and birth (jati) are a sufficient cause of suffering (dukkha), that they must create suffering, the problem became how to put an end to more existence (puna-bhava) and rebirth. 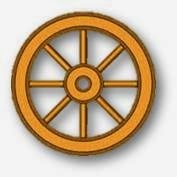 As it became popularly and accurately known, the goal of Buddhist practice (for those who realize that the real world's a jail and are not in denial of this truth) is to make an end of samsara, the incredibly long journey through countless lives, and get off the crushing wheel of rebirth. Thus, the Bodhisatta continued to pursue yonisamanasikara, work of the mind that goes back to the source, to find the causes of bhava and jati. He traced the sequence of causes, now known as Dependent Origination, through craving (tanha) back to delusion (avijja). It was delusion that was seen as the basic culprit. What is this delusion? Avijj is consistently explained as not fully understanding the Four Noble Truths. In other word, one doesn't realize that one is in jail. It is amazing how so many people are in such profound denial of life's suffering that they show severe signs of maladjustment to old age, sickness and death. Some people are even surprised that these things even happen, and exhibit such derangements as anger and grief when they do! Our delusion is that life can be fixed. As every Buddhist would know, the way to get out of jail, to put an end to rebirth and the inevitable suffering that follows, is to develop the Noble Eightfold Path culminating in jhana (samma-samdhi). But that is a subject for another essay. Here I want to add that Dependent Origination is often cited as an alternative definition of the Second Noble Truth, the cause of suffering. And Dependent Cessation is an alternative definition of the Third Noble Truth, the cessation of suffering (SN 12, 43). Thus the main purpose of Dependent Origination, equivalent to the Second Noble Truth, is to answer the question "Why suffering?". And the main purpose of Dependent Cessation, equivalent to the Third Noble Truth, is to answer the question "How can suffering be stopped?". In this essay, I have attempted to describe what Paticca-samuppada is all about. I began by presenting the standard sequence of the twelve factors, and then their meaning as defined by The Buddha Himself. It should have been clear from these definitions that Paticca-samuppada, as The Buddha meant it to be understood, spans more than one life. I then went on to discuss a Western model of causality, the necessary and sufficient conditions, and how these slotted so neatly into Idappaccayat, The Buddha's model of causality. I later used the 'necessary and sufficient conditions' model to throw more light on the different forms of causal relationships between each pair of factors. A digression on the meaning of sanditthika-akalika, and a section called 'Misreading the Suttas', were meant to address some objections (misconceived, as I hope that I have proved) to the fact that Paticca-samuppada in the suttas does span more than one life. Although the argument here was somewhat technical, it highlighted the importance of kamma and rebirth to The Buddha's Dhamma. Kamma and rebirth are obviously not a mere cultural accretion, as some modern misinformed authors would have us believe, but are essential to the central teaching of Paticca-samuppda. Lastly, I introduced a section rarely mentioned in essays about Paticca-samuppada - What is its purpose? I have shown that the purpose of Paticca-samuppada is much more than mere food for intellectual debate. Indeed, Paticca-samuppada demonstrates how there can be rebirth without a soul, it reveals what life is, and it explains why there is suffering together with the way suffering is totally ended. Paticca-samuppda answers the big questions. It is no exaggeration to state that Paticca-samuppda is at the very heart of the Dhamma. As The Buddha stated, one who understands Paticca-samuppada accurately, also sees the Dhamma. And the one who sees the Dhamma fully, is one who has entered the stream and will soon put an end to all suffering. May that be you! Ajahn Brahmavamso, Bodhinyana Monastery, October 2002. (1)References to The Buddha's discourses (suttas) in the Pali canon: DN = Dgha Nikya, MN = Majjhima Nikya, SN = Samyutta Nikya, AN = Anguttara Nikya, (SN and AN references to book number, followed by sutta number), Th = Theragth (references to verse number). (2)Connected Discourses of the Buddha, Wisdom Publications, Boston 2000,p534f. (3)Translation by Bhikkhu Bodhi in The Great Discourse on Causation, published by BPS, Kandy 1984, p54. (4)Vedana - usually translated as `feeling', denotes that aspect of sensory experience which is taken to be either pleasant (sukha), unpleasant (dukkha) or neutral (adukkhamasukha). (5)Dukkha (suffering) here stands for the full term soka-parideva-dukkha-domanassa-upysa. Wishing that the teachings of the Buddha guide you and Bless you with Peace! 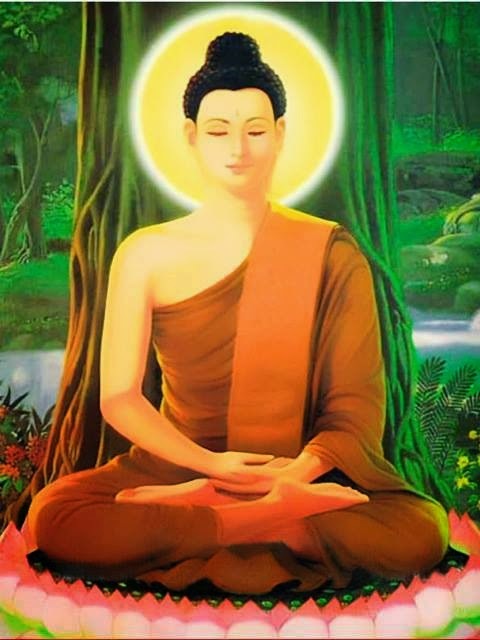 ON THIS VESAK POYA DAY, LET US RECALL THE SUBLIME TEACHINGS OF THE BUDDHA - THE UNIVERSAL LOVE AND UNIVERSAL COMPASSION. Ven.Nadimale Sudhamma. Awesome Inc. theme. Powered by Blogger.